Kim, our millefiori artisan, uses clay to bring each whimsical ''Feline Fondness'' gray and yellow cat earring to life. She uses a technique called caning to layer strips of clay which she pulls and stretches and then slices into thin cross sections, revealing intricate patterns. Each gray and yellow cat millefiori earring showcases glass bead accents and gold plated findings, and measures approximately 1.5 inches long. Wires. 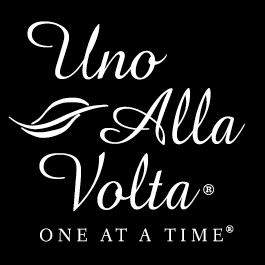 Handcrafted from the hearts and hands of artisans exclusively for Uno Alla Volta.